Almost one quarter of the 100 plus EMMCA membership met Wednesday at a meeting attended by ANC6b Commissioners Metzger, Pate, and Frishberg. The purpose of the meeting was to begin the process of reaching a consensus position to take to the ANC and the Historic Preservation Review Board (HPRB) regarding the Hine Development. EMMCA members offered comments which fell into three broad categories: aesthetics, height and massing, and usage. By far, the most negative comments were directed at the aesthetics of the proposal, based on the most recent concept designs, but several members spoke of desired changes to height and massing and usage as well. Several participants noted that the project as it appears today is much different than the project that was proposed by Stanton-Eastbanc when they were awarded the development bid, and further, that the project is in fact much worse today than originally proposed. The project no longer has participants like the Shakespeare Theater administrative and rehearsal space, the Tiger Woods Foundation, the International Relief Development, and apparently no hotel; these partners were significant in securing the bid in the first place. The office space, which was much touted as necessary to support community retail, has been scaled back in favor of more space for residential – though the number of units remains roughly the same. This translates to higher end and more expensive residences, something that the community could not envision based on the original RFP from the city or the winning Stanton-Eastbanc bid. EMMCA President Barbara Riehle noted that it was regrettable that EMMCA has been and sometimes continues to be characterized as anti-development. When EMMCA endorsed the Street Sense design in 2009, it implicitly endorsed development of the site. EMMCA’s energy should be focused now on working with the Stanton/Eastbanc team to secure changes that will make the development an asset to the neighborhood. There were some present who urged reopening the bidding process, but ANC Commissioners indicated they did not think that was feasible. The discussion also revealed limitations on what it is possible to change via the ANC or HPRB process. Density and square footage, for example, were set by the city in the “term sheet.” Changing these criteria requires action by the city rather than the developer. For this reason, several EMMCA members raised the possibility of sending an EMMCA delegation to meet with city officials, including our own councilmember Tommy Wells. Most of the members present felt that the project does not maintain the integrity of the Historic District or conform to the character of the community. They felt that the buildings lacked distinction, resembling nondescript development in the suburbs rather than a unique, thriving, and historical neighborhood in the city. There seemed to be general consensus that the existing height limitations for buildings at the site should not be increased; that is, that Stanton/Eastbanc should not be granted the zoning exemption which they are seeking. In addition, there was considerable support for “building down,” below grade, as an alternative to height. There were objections to height being moved from 7th Street to 8th Street, since 7th is already a retail and commercial corridor while 8th is residential. 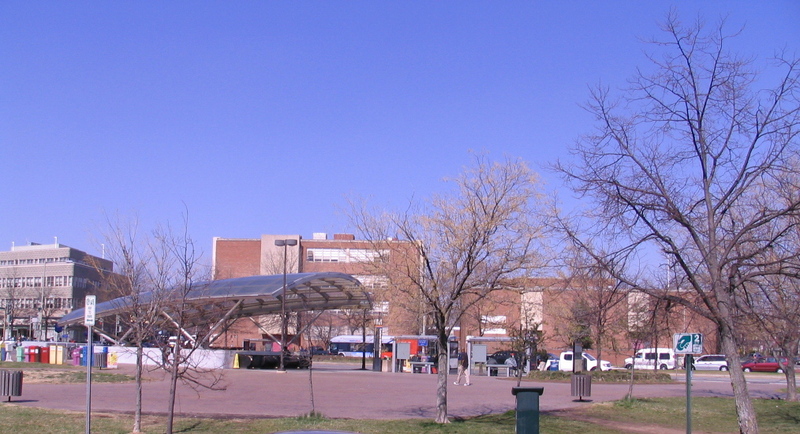 In addition to the major changes regarding participants dropping out of the project, concerns were raised that retail is being allowed to encroach on 8th Street, that moving access to parking to 8th and C on weekends will be problematic, that the popular public access piazza has been downgraded and compromised, that no consideration has been given to providing an educational element to the project, in keeping with the building’s historic function as a school. ANC commissioners emphasized that in order to be effective, any testimony or statement provided on behalf of residents must contain specific suggestions and be within applicable laws and regulations. Week of April 4 (? ): Restoration Society Meeting on Historic Preservation Application for Hine – community invited – time and place tbd. April 26: Second Special Call Meeting by ANC6b to discuss Hine, debate and vote on recommendation to HPRB on Stanton Historic Preservation Application – time and place tbd. EMMCA will look to provide the ANC with the substance of its testimony for the HPRB prior to the ANC special call meeting. Larry, thanks as always for another informative report! The “Guideline” documents are a set of “related publications” that explicate the laws intended to preserve and manage the city’s historic resources. They are not the whole Historic Landmark and Historic District Act of 1978, they do not intend to embody the whole law and its purposes, they are just ways to organize thinking about how HPRB will enforce the city’s historic preservation laws in the Capitol Hill historic district. Reading that, I feel on solid ground in asking the ANC to instruct HPRB about the distinct, unequalled history of Plat 901, the Hine site, as a place for education for an unbroken period from 1862-2007. The complete failure of the current proposal to recognize and perpetuate that long history represents, for me, as much of a failure as concerns properly raised regarding height, massing, setback, orientation, scale, proportion, rhythm, materials, color, roof shape, details and ornamentation and landscape features. I don’t know if EMMCA members or others agree with me that failing to recognize and perpetuate some element related to service to children at this site is a shortcoming that demands remedy through the HPRB, but I think it is an issue worthy of exploration. Again, thanks for this excellent summary of what EMMCA members said in their meeting with three fine ANC-6b Commissioners, Frishberg, Metzger and Pate. This s a great place to share specific comments and suggestions for improving the project. I hope EMMCA members and Hill residents in general won’t be shy about letting us know what you think. Whatever happens at the Hine School site certainly will be there for generations to come and is likely to alter the neighborhood for better or for worse. Thanks Larry! I strongly agree with Thom; we should work to restore some purpose to the building that honors its past as a school.